I’ve had a few people look at some of my iPhoneography portfolio (I never tell them upfront that they are looking at iPhone photos), several of whom have commented: “You must have a great camera!” It takes a while to convince them that I shot and processed the images with only my iPhone. I grabbed this one while walking around the Tidal Basin, in Washington, D.C., between the Jefferson Memorial and the Martin Luther King, Jr. memorial. 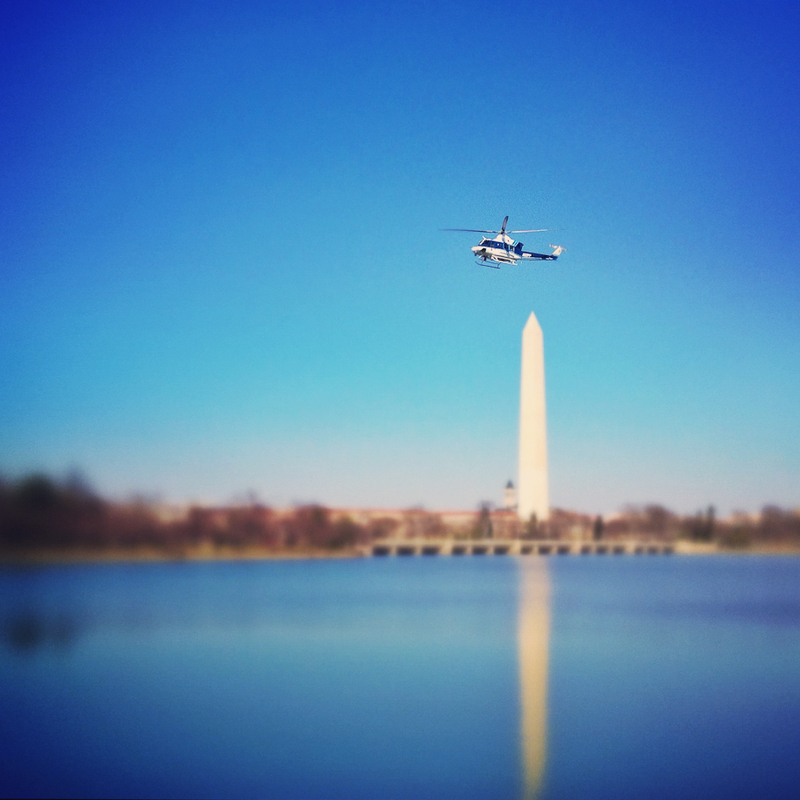 I pulled the iPhone out of my pocket as soon as I heard the helicopter coming, knowing that they almost always fly fairly low over the basin. Pat O’Brien – Isn’t that funny – same thing with me. Wrapping a recent trip to Vegas, I was showing photos of our trip using Lightroom and received positive reviews. Then I told them everything they were looking at was shot on an iPhone. Pretty funny to see their reactions! Love this shot too. Never cease to impress!